Dont forget to book in your diary the Christmas fayre at Stafford, Wednesday 5th December 6pm-8pm, everyone welcome!! Children in need Update…Nearly £2000 raised! 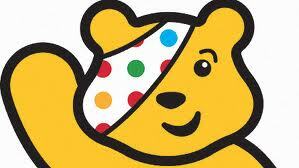 Just to let you know we are nearly up to £200o raised for Children In Need. The last of the fundraising is still coming in, the final amount will be know soon. Thank you to everyone!! Don’t forget the fete on Saturday at Ercall, Telford. Santa is making a special appearance and there is lots of fun and games going on! See you there!! Well done to the girls at Stafford for doing their sleep over to raise money for Children In Need, The girls had a great night but not much sleep!! Ho Ho Ho Christmas Dec’s Up Tomorrow!! Christmas is approaching rapidly…so we are putting the decorations up tomorrow at Stafford….we just can’t wait!!! 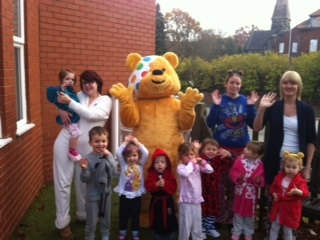 Pudsey has arrived at Stafford – He is really happy with the fundraising from the children! Come on everyone, dig deep! We are trying to raise £1000 today so far we have raised about £800 …..keep going there’s lots going on today so bring your spare change!! 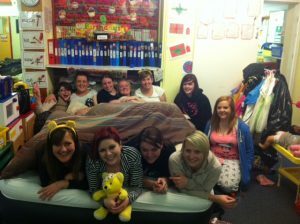 Platinum Award for Stafford Nursery! We are really proud to announce Stephanie our Manager at Stafford has won the Platinum Award for Nurturing Health. This award has been given for outstanding commitment and contribution to making a difference at our Nursery. Well done Stephanie and the team at Stafford who will be receiving their award from the Mayor of Stafford on 4th December.